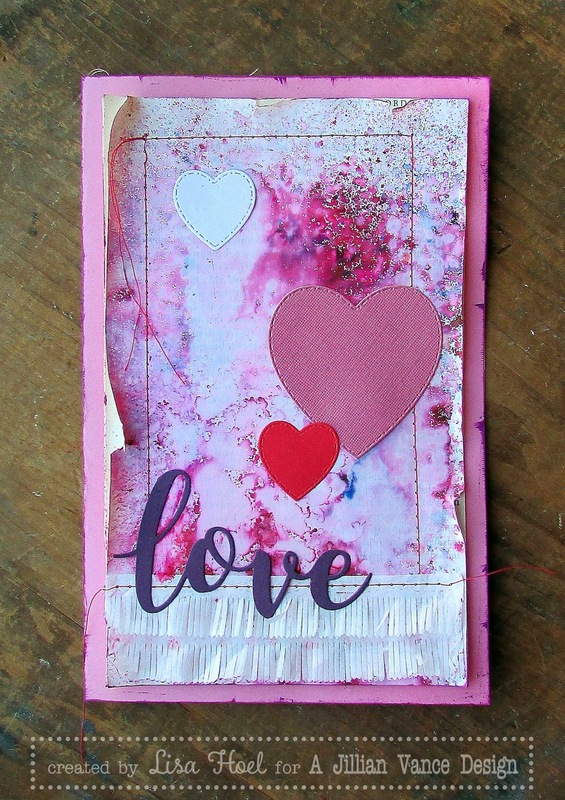 Hello, Lisa Hoel here again with another Valentine's Day card to share – this time in mixed media style. The background is made of stacked pages torn from a book. I applied a thin layer of white gesso to the top layer to mute the text and provide a good surface for subsequent media application. Next came a layer of Ken Oliver's Color Burst powders. I lightly spritzed the page with water and then sprinkled on the powders (Merlot and Fuchsia). These are powerful pigments! A little bit of powder goes a long way and they are extremely reactive with water. It is like the color just 'bursts' on your project. It is a very cool effect! Once the background was dry, I used my sewing machine to sew it onto the card base. I used the Stitched Fringe die to cut the fringe out of white coffee filters (stronger than tissue paper). 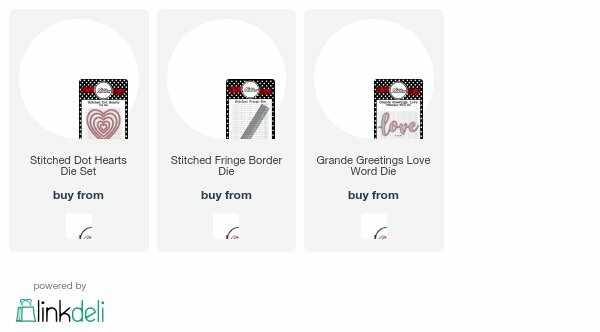 The sentiment and hearts were cut out of plain cardstock. What a beautiful card Lisa! Love all of the great texture and cool elements you added!